What does it mean to be home? 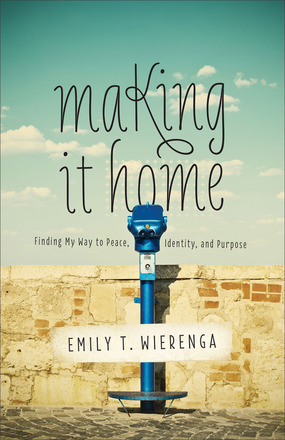 In the opening chapter of Making It Home, Emily Wirenga thinks of the homeless woman who she could only buy a meal for, the years she spent living in Africa and Korea, and the way the clutter and chaos of living with her small sons makes her feel at home. Maybe it's just that Emily and I have some things in common or maybe it's her lovely way of writing the most mundane of moments into poetry, but this book resonated with me very powerfully. Like so many of us, she puts other first - she cares for her husband and children, runs their household, cares for her parents and in-laws, and the family even takes in foster children for a time. Giving of your time and love is a wonderful thing to do, but it is also very draining. 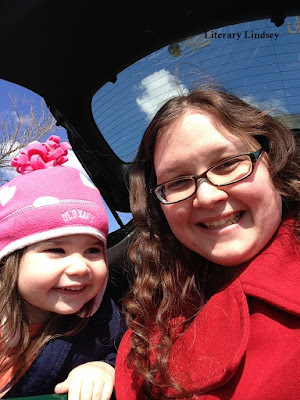 Like many parents who are home with their kids part-time or full-time (myself included), Emily wonders what she is aside from being a parent. If she isn't working, if she isn't making art or publishing words on a page, who is she? This is a very honest book. 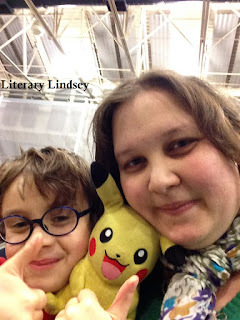 Emily writes about her feelings of inadequacy in her home and her relationships. She is living in the middle of generations, as she tries to find healing for the wounds inflicted by her own parents and vowing that she will do things differently with her children. It is, of course, never quite that simple, and she also finds the moments where her parents did their best and grieves over her own mistakes with her kids. The ability to make mistakes and know you are still loved is so crucial in the making of a home and a family. As Emily puts it, "...home needs to be a safe place. A place to fall." In a culture where it is frowned upon to admit just how exhausting and soul-crushing parenting can be, Making It Home feels like the relief of admitting, "oh thank goodness, me too." In some ways, this book feel like an accounting of the everyday - it's a record of temper tantrums and bath times, finding favorite blankies and taking one more deep breath. But it also feels like a glimpse into the most important moments of life. Wirenga writes with beautiful clarity that is both heartbreaking and uplifting, as she searches for ways to connect with God in the midst of the chaos, teach her small boys, support and love her husband, and take the time and care to see who she is becoming in the middle of it all. Lord Ballister Blackheart is a villain. He's slightly busy causing mayhem and stopping the plans of the Institution of Law Enforcement and Heroics. When Nimona, a teenage shape-shifter, shows up at his liar and offers to be his sidekick, Blackheart is sure she will be more trouble than help. But Nimona turns out to be much more powerful than Blackheart imagined and the two villains might even strike up a friendship. 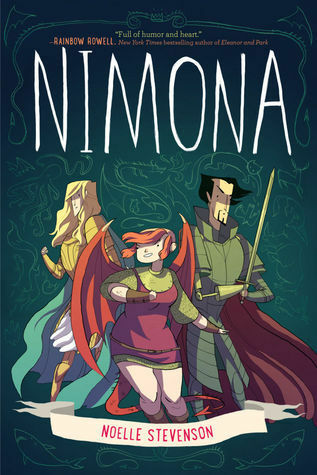 Nimona is the perfect blend of thought-provoking story and uproarious fun. Blackheart and Nimona both have serious attitude and ideas about what villains do. Nimona can also shapeshift, so look out for shark and dragon sightings. But it is also an examination of what it means to be a hero or a villain and the ways in which good and evil are not as simple as we like to believe. I was sad to have read through the entire thing in just an afternoon. If Noelle Stevenson wanted to write some more adventures of Nimona and Blackheart, I would not complain. If you love comics or just a great story where humor and big questions can go hand in hand, Nimona is the perfect pick! Mary Oliver is a much-beloved poet. 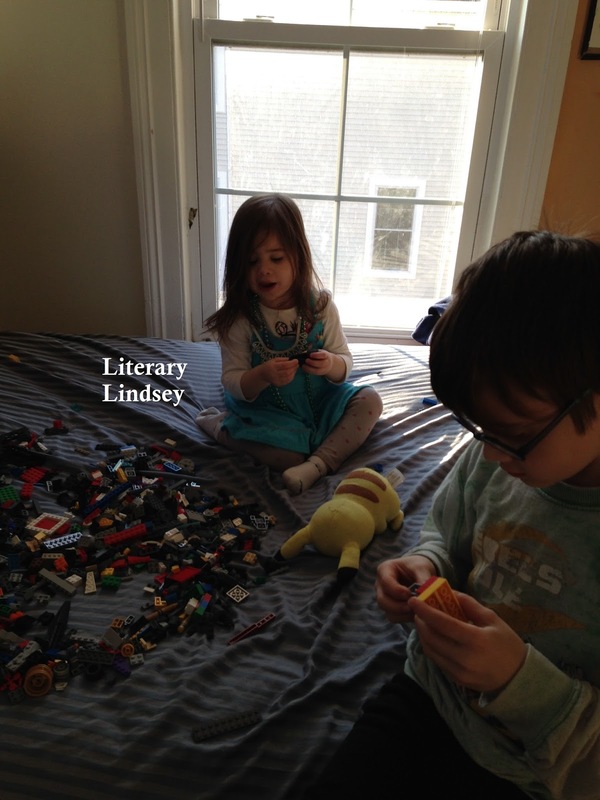 She writes about quiet moments in nature, the impact of love, and the small revelations of faith. 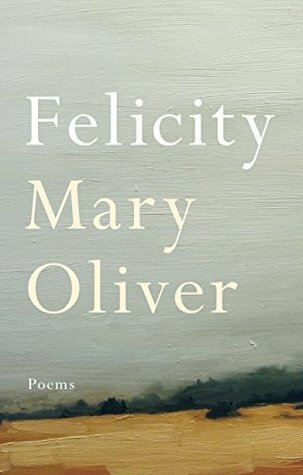 Oliver is a poet for people who don't think they can understand poetry - her poems are beautiful and insightful, but they aren't written in a way that makes the ordinary reader shy away. 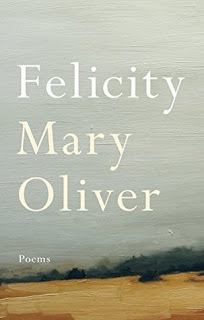 The collection is broken into three sections - The Journey, Love, and Felicity. In the first section, she realizes that the flowers do not worry about the answers to life's big questions - they are "entirely busy being roses." In the section about love, she adapts and riffs on Elizabeth Barrett Browning's famous How Do I Love Thee sonnet. The third section centers on those tiny moments of happiness: the moments just before sleep, the beauty of spring, or the wonder of a kiss. While it's not my favorite collection of her poetry, it's one that you don't want to miss. Oliver is an excellent poet who gives voice to the small moments of beauty we find in a world full of chaos and pain. Last week was a very busy one for us. D has no school this week and my husband is off from work today, so we all stayed in our pajamas and spent the morning reading, playing, and taking it easy. 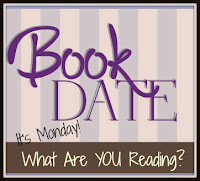 I am finally emerging from the blanket cocoon to say hello to the world and talk about what everyone is reading! 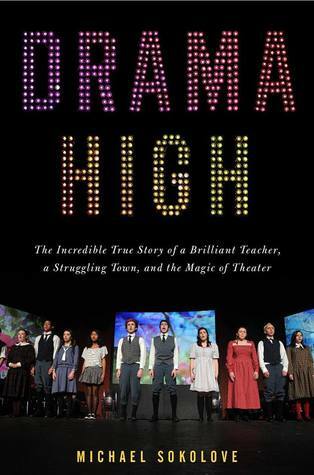 I read Drama High, which follows a high school drama teacher who takes his students to heights that might seem impossible for their impoverished town. 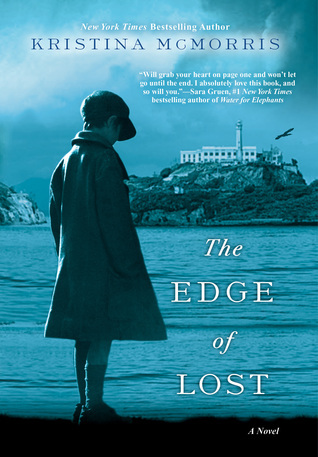 Then I got sucked into The Edge of Lost, which is billed as a mystery at Alcatraz but it's really more about what it is like as an immigrant and what it means to choose your family. 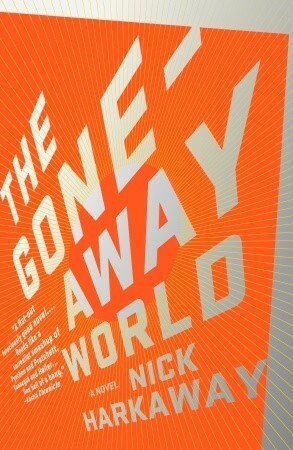 I ran out of steam (or time) partway through last week, but I did link up with Trish to share A Day in the Life and I reviewed The Gone-Away World by Nick Harkaway. 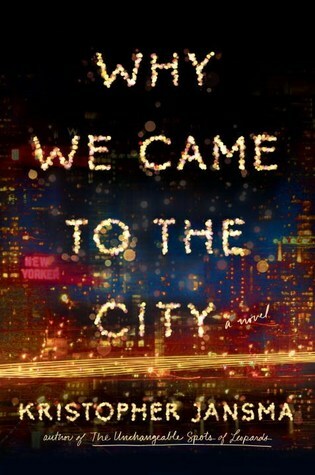 The plan for this week is to read Kristopher Jansma's Why We Came To The City, which I started last night and am enjoying very much. 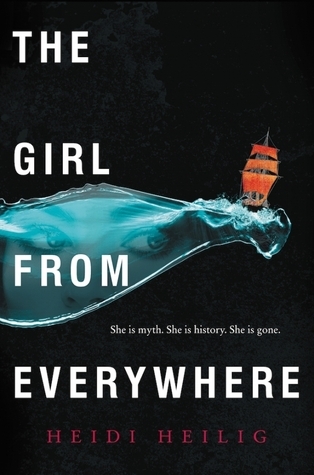 Next up is The Girl From Everywhere. Well, friends. This is probably not the most exciting day you will read about today. I didn't do a great job of taking pictures, either. But it's a real day in our house (Monday to be precise), so here you go! 7:00 a.m. My alarm goes off. Ten or fifteen minutes later, I convince myself to leave my cozy bed. 7:30 a.m. Allergy medicine has been taken, one glass of water down, and first Twitter check of the day is done. It's time to make lunch and breakfast for our resident second grader. 7:45 a.m. I hear a familiar cry of "Mama, Mama!" and head back upstairs to get the kids out of bed. 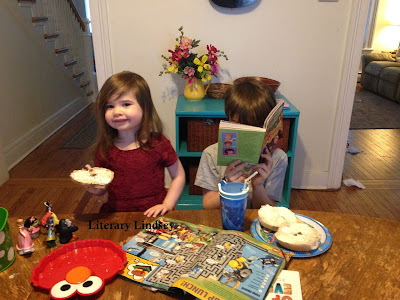 Everyone gets a bagel and they settle in for breakfast and reading (they are my kids, reading is a part of most things). 8:30 a.m. After a small toddler meltdown over not having the Brave movie and several reminders for the big one to brush his teeth, D is out the door to the bus stop with his dad. BG settles in for movie (Robin Hood) and I grab some breakfast. The husband and I make some snarky conversation before he leaves for work and then I unload the dishwasher and finalize our grocery list. 10:30 a.m. The movie is finished, a snack has been had, and an uncooperative toddler is finally wrangled. Off to the grocery store! 12 noon Home from the store, put the food away, lunch for the little girl, then it's time for a story and naptime! 1 p.m. Lunch for me and visiting some other blogs while watching The Good Wife. Did some writing, blogging, and tidying around the house. 3:30 p.m. Off to pick the boy up from the bus! Home for snacktime, which somehow went from apples to ice cream. 4:30 p.m. I help out one of the girls from church with some music and the kids get to run around with her brother. 5:45 p.m. Time to start dinner for the kiddos. The husband has a late meeting tonight, so the kids get mac and cheese and broccoli. 7:30 p.m. Everyone whose age is in the single digits is in bed. Whether they are sleeping or not is yet to be determined. We usually hear a very soulful rendition of "Let It Go" before 8 p.m.
7:45 p.m. - Time to make some bread! This was the first round. 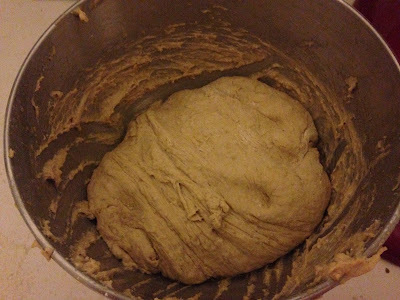 It has to proof in the fridge for a while before getting kneaded some more and having a second rise. 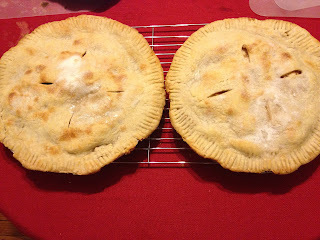 My favorite thing about this recipe is that I can leave the dough in the fridge overnight and deal with it tomorrow! 8:30 p.m. Talked on the phone to my mom, and then to my best friend who lives on the other side of the country. 9:30 p.m. Husband finally arrives home after his meeting. We chat about our days and the joys/frustrations of the world. 10:00 p.m. Decide it's too late to make dinner, order pizza, and catch up on Once Upon a Time and Quantico. Make sure to visit Love, Laughter, and Insanity where you can see what a day looks like for a bunch of your favorite bloggers! Gonzo Lubitsch and his makeshift family of colleagues are there to save the world when things go wrong. When the world needed a pipe to keep the Livable Zone safe from the monsters who wander their post-apocalyptic world, The Haulage and Hazmat Emergency Civil Freebooting Company built just such a pipe. But now that pipe is on fire, and Gonzo and company must put out the fire. But this will be their most difficult job yet and everything they thought they knew about themselves and the people they know and love the best will be tested. It's hard to write a synopsis for this book. It's the kind of story that is best experienced with very little knowledge of what is going to happen. Suffice it to say that it's funny, often in a laugh out loud way. But two lines later, you might find yourself thinking about identity and morality. It's an adventure story or a story about the cost of war. It's a romance or a tale of friendship. You will be caught totally by surprise at least once. You will meet monsters. And ninjas. And mimes. If that hasn't caught your interest, I'm not sure what will. Nick Harkaway is one of my favorite authors because he always throws something new at you and it always appears that he is having the time of his life doing it. This is a book you have to commit to - it clocks in at almost 600 pages and you have to be ready to buckle up and get thrown for curve after curve. But it's the kind of ride you don't want to miss. Hello fellow book lovers! How are you doing? We are right in the middle of pre-Easter craziness. When your husband is a pastor and you work at a church, it is to be expected that the days before will be a bit busy. 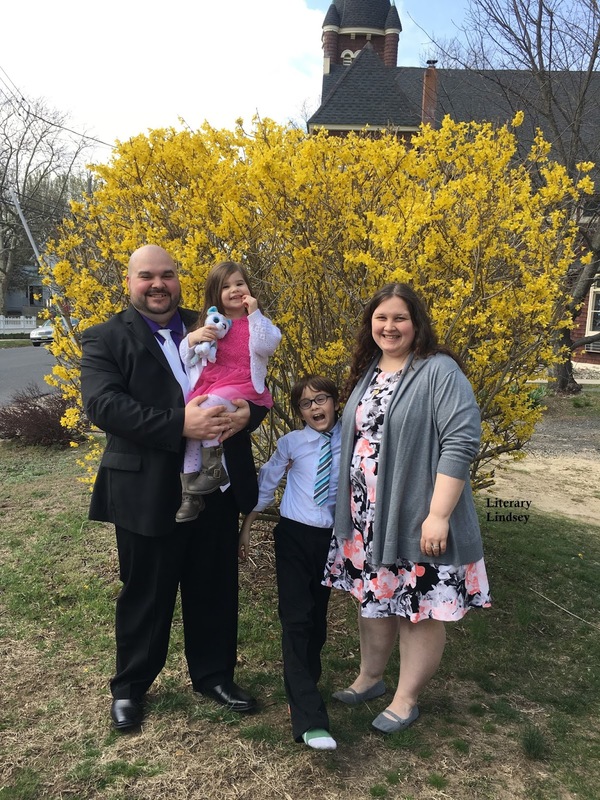 I love Easter though - I love the Holy Week services and the cute outfits for the kids, I love watching my kiddos find their Easter eggs and, of course, taking my parental candy tax. 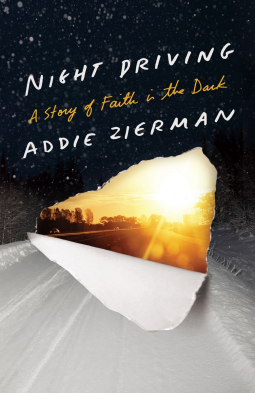 This week I read Night Driving, which details Addie Zierman's cross-country trip with her two young sons as she runs toward the sun and tries to find God again. 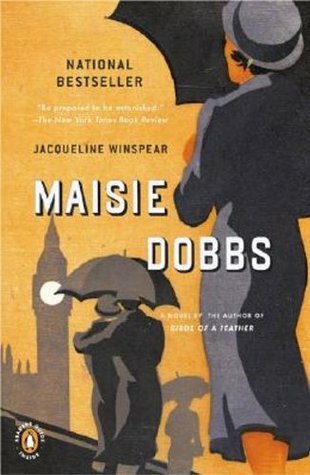 Then I read Maisie Dobbs, the first book in a mystery series. 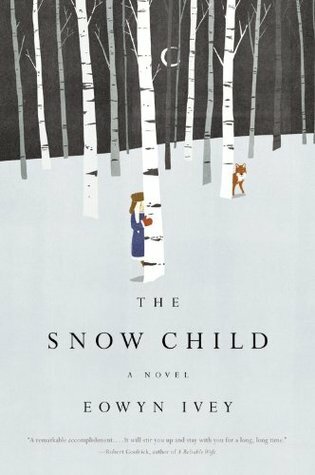 I managed to fit in The Snow Child during a weekend where it was supposed to snow. 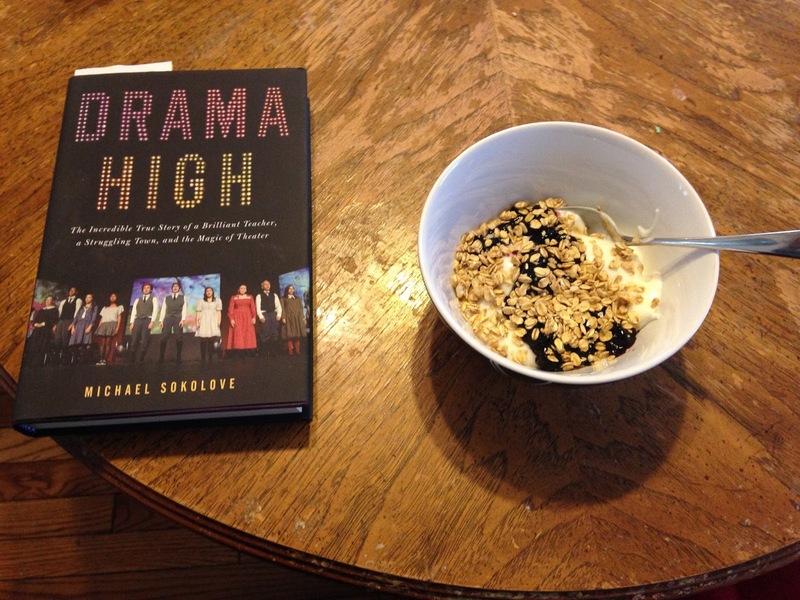 It's really ok with me - I prefer for the snow to stay inside my book instead of waiting to be shoveled! 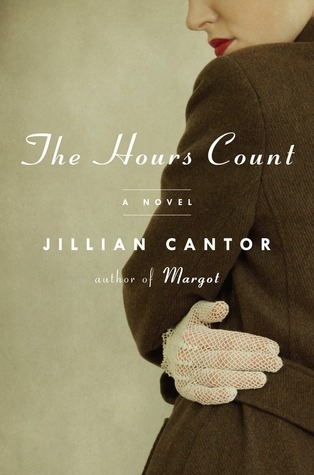 On the blog, I reviewed The Hours Count and joined up with Top Ten Tuesday to talk about all of the books I hope to read this spring. Next up for me? I'm going to read The Edge of Lost for She Reads Book Club and then grab Drama High, which I picked up at a library book sale. Millie Stein is a woman doing the best that she can. Her husband is gone most of the time and she struggles to care for their son, who frequently acts out in ways she cannot understand. When she meets her neighbor Ethel Rosenberg, Millie wonders if the two women could be friends and bond over the trials of motherhood. Ethel and Julius Rosenberg were the only US civilians ever executed for espionage. To this day, their guilt is doubted by many. The couple left behind two small children. Jillian Cantor imagines the events leading up to their arrest and execution through the eyes of a fictional neighbor dealing with big problems of her own. In the 1950s, little attention was paid to children's development. Millie knows that her son is not like other children his age, but she does not know what to call it or what she can do to help him. While this is a possible version of what happened with the Rosenbergs, it truly focuses on the powerlessness of women. We see Millie and Ethel try to make good lives for their children, while being left in the dark about the activities of their husbands. These are the same men who control what money, if any, they have access to and can do things like move the family or send away a child without any input from their wives. Their lives and futures are determined by their spouses and by men they have never even met in the FBI and KGB. The women are isolated and lonely. Millie finds some hope in her friendship with Ethel and in possible help for her son David from a psychologist named Jake. 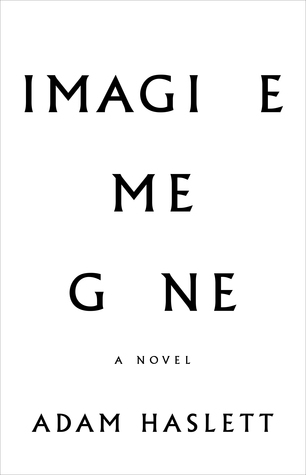 This is a book that is both heart-pounding and melancholy. The book opens on the day that Ethel is scheduled to be executed and we see Millie make one last-ditch effort to save her friend. As she drives desperately, she thinks back on her relationship with Ethel and the events that have brought them both to this moment. But the past itself is lonely and tragic, as the two women wonder if they will ever have any sort of control over their lives. Spring is just around the corner. Some days, it seems like it has already arrived! It's the perfect time of year to sit on your porch with a cold drink and a good book. Here are the ones I am hoping to read in the next few months. 15 stories of belles, bank robbers, and other badass girls, you say? Count me in! A sixteen year old girl in rural Pennsylvania has an unforgettable summer when the FBI cuts off access to their town to find a fugitive. 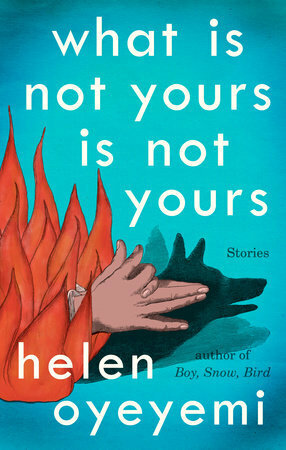 New Helen Oeyeymi. Need we say more? I loved Kristopher Jansma's debut novel and I am excited to read this one, about a group of friends five years after graduation. 17 years ago, a girl fell into a hold and landed in a giant metal hand. Now, as an adult, she is the top researcher to discover how that hand got there and what it means. The making of Hamilton the musical. You know, those songs that are on at my house all the day. A wealthy family in the 1970s loses all of its money and has to figure out where to go. I adored her novel and her short story collection, so I can't wait to read this one! Alice seems to have it all - a fantastic job, a great husband, and a brand new baby. But then she discovers she has cancer. This book follows one man's struggles with depression through his eyes and those of his wife and children. Which books are you excited to read this spring? Check out more Top Ten Tuesdays at The Broke and the Bookish! 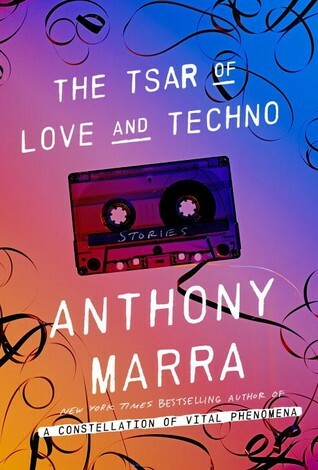 In The Tsar of Love and Techno, nine interconnected stories span centuries in Russia and Chechnya. The characters vary, from a censor in the 1930s to soldiers to women recounting the history and sacrifices of their grandmothers. 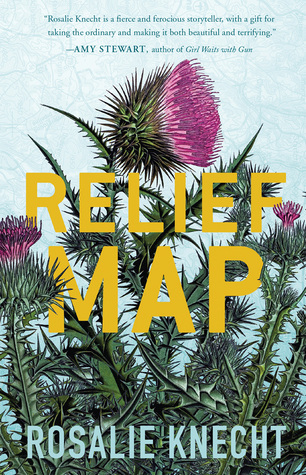 Each story stands on its own, but the beauty and subtlety with which Marra connects these people will drive readers back to reading it again and again to find the threads. Roman Markin is the protagonist of the first story. He is an artist who paints away the faces of people who are no longer in favor of the government. He is struck by a picture of a beautiful ballerina. In the second story, Galina, the granddaughter of that very dancer, is crowned in a local beauty pageant. We later follow Galina's first love as he has his heart broken and searches for peace and purpose. 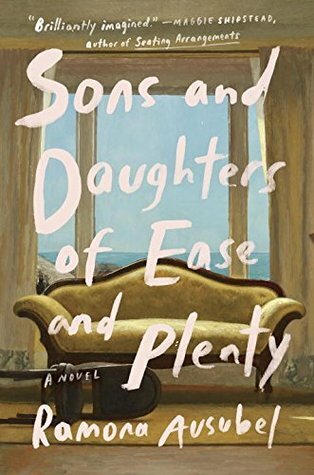 While the events of this book are often heartbreaking, there is a sense of wry humor throughout. In "The Grozny Tourist Bureau," we meet a man who is charged with making a tourism service for the city of Grozny in the metaphorical and actual rubble of years of war. Throughout each story, there is a sense that the future is a very uncertain thing. We might as well chuckle at the absurdity of it all. 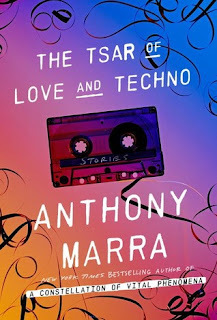 The Tsar of Love and Techno is just as wonderful as Marra's debut novel. The characters are compelling and the writing is equally likely to sweep you off your feet or feel like an emotional punch to the gut. As I sit here writing this review, I find myself itching to read it again. Mr. Marra is quickly becoming one of the authors whose books I will read, buy, and love each and every time. Hello friends. How ya doing? 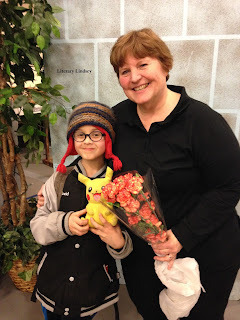 On Friday, D and I went to see a high school production of Shrek. My mom did an amazing job playing a lot of music; she's a wonderful pianist. 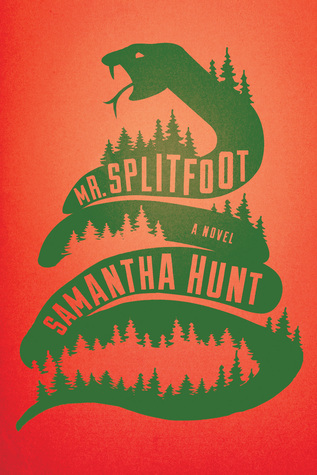 This week, I read Mr. Splitfoot and it was so very good. I picked up 13 Ways of Looking at a Fat Girl, but it wasn't working for me. I will give it another try at some point. 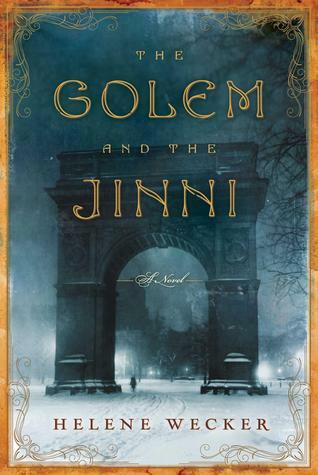 So now I am reading The Golem and the Jinni, which I have been meaning to read for forever! I reviewed Flight of Dreams and The Only Ones, both of which I recommend. I also wrote about February, with all of its sickness and reading. 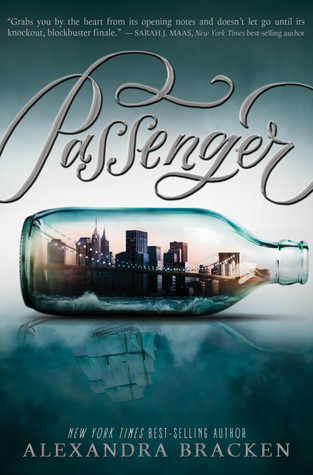 Next up is Passenger and Addie Zierman's new book Night Driving. Emilie Imhoff is the only female crew member aboard the gorgeous and world-famous Hindenburg. She is tasked with attending to the wealthy wives aboard and watching over their children. Her position is one of prestige, but it also carries a lot of scrutiny. The watchful gaze of her superiors and fellow crew members is problematic for Emilie as she battles her feelings for Max, the ship's navigator, and tries to keep a big secret out of the light. But the bigger danger is one she could never have predicted. It is May 1937 and the Hindenburg is about to explode. Flight of Dreams begins at the end of the story. Two weeks after the explosion, Max is testifying about what happened on board the Hindenburg during that last trip. But, as he plainly tells the reader, he has decided to lie in order to protect the people he knows and loves. Max may be about to lie about what he does know, but he actually doesn't know what caused the explosion. Neither do we, almost eighty years later. Ms. Lawhon excels at finding a mystery lost to the past and presenting a possible version of history. The characters in this novel are the actual people who flew on the Hindenburg. Some pieces of this story are true, based on the recollections of survivors. But other parts, including the cause of the terrible tragedy, are created by the author. Lawhon expertly builds the tension throughout the story. As the reader, you obviously know what is going to happen. But the characters don't and, as you gain more insight into their lives and their dreams, the stress about their fates becomes palpable. The building tension is aided by a date, time, and countdown to the explosion that marks every section. The reader counts down to a deadly explosion while observing people go about their lives with no idea what is about to occur. 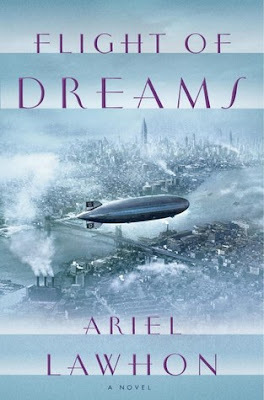 Max, Emilie, and the other people on the Hindenburg may have been real people, but through the creation of Ariel Lawhon, they are characters you will fall head over heels in love with. As the clock counts down and you start to panic about these people you have come to adore, you realize just how carefully and wonderfully Flight of Dreams has been crafted. You will hold your breath in hope and you might cry when it is revealed who survives and who does not, but you will certainly never forget the last flight of the Hindenburg. Note: In the interest of full disclosure, I am a part of the She Reads book club which is run by Ariel Lawhon. Even if that were not the case, I would have read this book because I adored The Wife, The Maid, and The Mistress! I didn't do a January wrap-up, mainly because I was running around wiping down doorknobs with disinfectant and pumping kids full of antibiotics. Between myself, my husband, and the kids, we went through a few rounds of a stomach bug, several colds, and walking pneumonia. There were a few weeks there where I felt like we were barely holding it together. But I think we are coming out the other side and the couple of warm days that we have had and the ability to actually drive home from work in the daylight are doing wonders for us! I have to confess that while 2 and 8 can be challenging ages, I'm having a blast watching these two. Every once in a while, I find myself laughing hysterically or needing a mop to wipe my heart off the floor after a particularly adorable moment. I especially love watching them together and I'm so glad that they are friends. 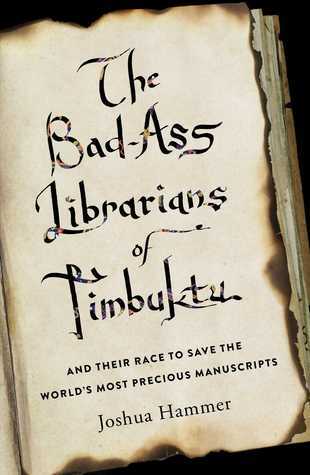 I only reviewed 5 books in February because I was posting weekly posts about Alexander Hamilton and I participated in a readalong of a great book about female scientists called Headstrong, as well as Book Blogger Appreciation Week. So I guess, technically, I reviewed 7 books - 5 were nonfiction and 2 were fiction. I think my favorite book of this month was The Queen of the Night, but I also have to send some love to Ron Chernow's Hamilton. I spent eight weeks with that book and I feel like I learned so much, not only about the man himself but also about the era in which he lived and the beginning of our American government and politics. 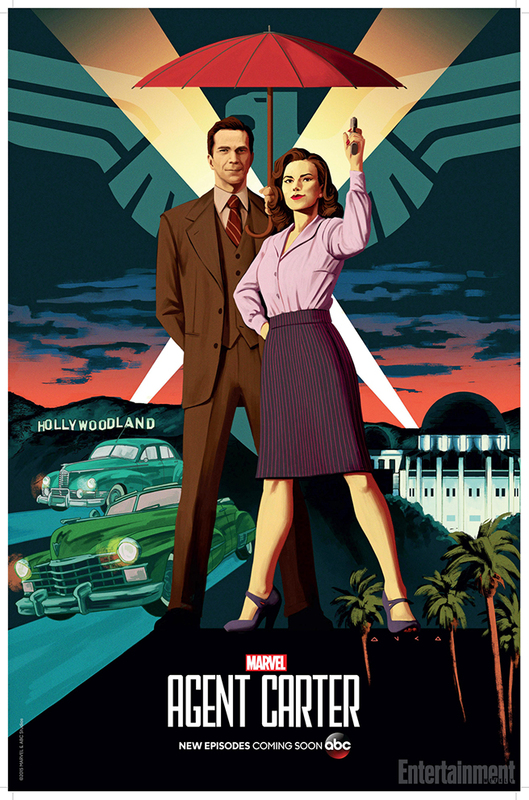 The husband and I loved the end of Agent Carter and I really hope that it gets a third season. When I'm working or blogging and I want some background noise, I find myself rewatching Gilmore Girls. I guess I'm getting ready for the new episodes! Hamilton. Obviously. Always. But I've also been branching out and listening to some new-to-me musicals including Little Women and The Drowsy Chaperone. And then there are podcasts. I love Book Riot's The Podcast and Get Booked. What podcasts do you listen to? What were you into in February?